Lock-N-Reload: Cut Waste. Save Money. Item number 72L 20/bag. Nobody likes to see waste around the office. 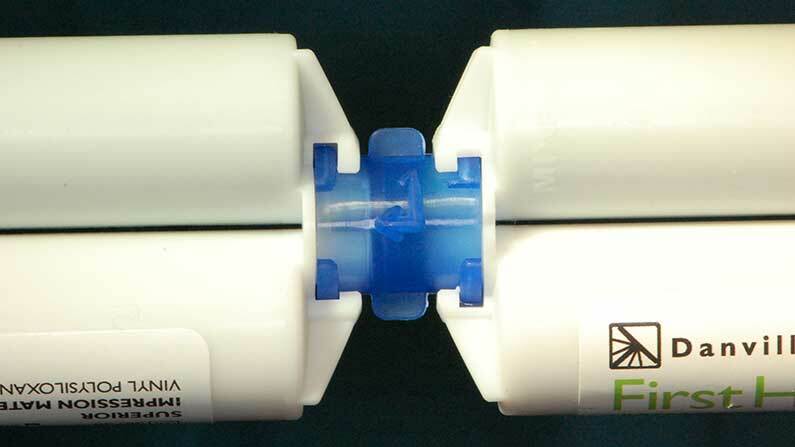 The Lock-N-Reload impression cartridge coupler allows the dental office to save money on PVS Polyvinyl Siloxane impression material by backfilling all of the partially used 50ml impression cartridges. We have all watched a waitress refill the ketchup bottles, now gather up all your partially used (PVS) Polyvinyl Siloxane cartridges at the end of the day, week or month and create full useable ones. Take a moment to watch the video to see how easy and simple they are to use. This product is made in the USA and co-marketed through Indigreen a wholesale distribution division of Practicon Dental.